You may recall my IT modernization budget wrap up blog when the state finalized the current fiscal year budget. Well, here we already are at the beginning of budget planning for the next fiscal year. Traversant Group is busy putting together its budget analysis, and I wanted to share some of this information with you. So, here are some highlights from the Arizona Department of Administration FY17 request that I think you might find interesting. The Arizona Department of Administration (ADOA) provides centralized support services for state agency operations. One of those operations is the technology oversight department known as ASET. The ADOA FY2017 budget calls out several IT projects with data network security and development of emerging technologies as top priorities. 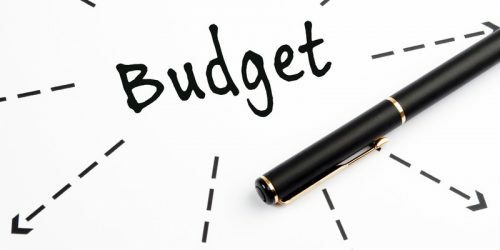 One trend evident in the budget requests is the desire to operationalize ADOA’s funding model by implementing a shared services model. As a result, we are going to see ADOA focus on business service rate catalogs. This will give ADOA a lot more flexibility in implementing technology projects instead of having to go to the legislature’s budget office to get approvals. The largest budget request concerns network infrastructure and security at the IO data center. ADOA is not recommending any further investment in the state data center. So, for more than 140 state entities using the state data center services, ADOA is proposing to take agencies to the cloud (either as a primary or a DR site) using a shared services infrastructure at the CenturyLink / IO Data Center. To do so, ADOA intends to purchase and AZNET II will implement (also CenturyLink) additional networking equipment. ADOA will also purchase hardware to hand off to other state agencies as they move to the new data center. $4.53M to operationalize statewide cyber security controls, such as firewall management, vulnerability scanning, and Web content filtering. $3.7M to operationalize and expand the digital payment processing capabilities and operationalize the AZ Enterprise Services Platform to make it the state’s singular space for electronic transactions. ADOA-ASET currently supports more than 150 online applications, of which over 30 process online payments equating to $50M in transactions. $3.6M to continue the third year of the strategic IT transformation initiatives, including expansion of critical infrastructure to support cloud services, assistance with converting state agency websites to secure, modern, mobile-enabled technologies and project management resources. $1.05M to fund statewide enterprise architecture adoption. This would include funding for programs, such as a professional development training program, a statewide IT governance program, a statewide IT asset management data analysis program and a data governance model. $890K for anticipated increases in software maintenance, production support and consulting costs related to the state’s new accounting system, which is less than the anticipated costs reported to JLBC. Continued funding for the Department of Corrections AIMS implementation and Department of Child Safety CHILDS system replacement. The CHILDS system replacement RFP is slated to be released in 2016. $175K to maintain and repair the telecommunication infrastructure.